The National and Kapodistrian University of Athens (Greek: Εθνικόν και Καποδιστριακόν Πανεπιστήμιον Αθηνών), usually referred to simply as the University of Athens, is the oldest university in Greece and has been in continuous operation since its establishment in 1837. Today, it is the second-largest institution of higher learning in Greece (the largest is the Aristotle University of Thessaloniki), with more than fifty thousand undergraduate students. National and Capodistrian University of Athens was founded on 3 May 1837, and was housed in the residence of architect Stamatis Kleanthes, on the north east side of the Acropolis. It was the first University not only in the newly- established Greek State but in all the Balkans and the Eastern Mediterranean in general. The "Othonian University", as it was called before taking its present name, "National and Capodistrian University of Athens", consisted of four Faculties, Theology, Law, Medicine and Arts (which included applied sciences and mathematics). It had 33 professors, 52 students and 75 non-matriculated "auditors".New classes began in a new building, which designed by the Danish architect Christian Hansen, in November 1841. A major change in the structure of the University came about in 1904, when the Faculty of Arts was split into two separate Faculties: that of Arts and that of Sciences, the latter consisting of the departments of Physics and Mathematics and the School of Pharmacy. In 1919, a department of Chemistry was added, and in 1922 the School of Pharmacy was renamed a Department. A further change came about when the School of Dentistry was added to the Faculty of Medicine.. In this first and "heroic" period for Greek education, the University faculty made great efforts to fill the gap between their newly founded institution and older ones in other countries. Between 1895 and 1911, an average of one thousand new students entered the Faculties each year, a figure which rose to two thousand at the end of World War I. This led to the decision to introduce entrance examinations for all the Faculties, beginning in the academic year 1927-28. Since 1954 the number of students admitted each year has been fixed by the Ministry of Education and Religion, on the proposal of the Faculties. In the 1960's construction work began on the University Campus in the suburb of Ilissia. The Ilissia campus now houses the Schools of Philosophy, Theology and Sciences. 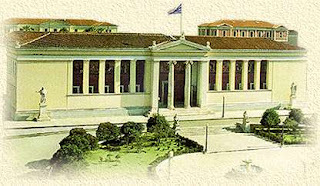 The University of Athens is divided into schools, faculties and departments as follows. The naming is nοt consistent in English for historical reasons, but in Greek the largest divisions are generally named “σχολές” (schools) and are divided in “τμήματα” (departments), furthermore subdivided in “τομείς” (divisions). Great posting! Thanks for giving useful information for students. You should also checkout www.studyusa.com, which seems to be very helpful as well. At studyusa.com, you can find exclusive list of American universities, colleges and language schools.